Product prices and availability are accurate as of 2019-04-16 17:29:49 EDT and are subject to change. Any price and availability information displayed on http://www.amazon.com/ at the time of purchase will apply to the purchase of this product. This antenna with RP-SMA Plug connector (Thread inside WITHOUT Pin). Change ALL the Antennas into NEW TECHTOO 9dBi Antennas, If your old Device Have More Than One Antennas. 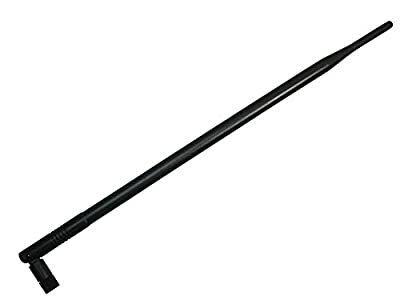 TECHTOO 9 dBi 2.4GHz Omni Antenna with RP-SMA Connector Can Increase The Range of Your Wireless Router/Access Point or Client. Off the shelf equipment typically has a 2.0 dBi antenna. 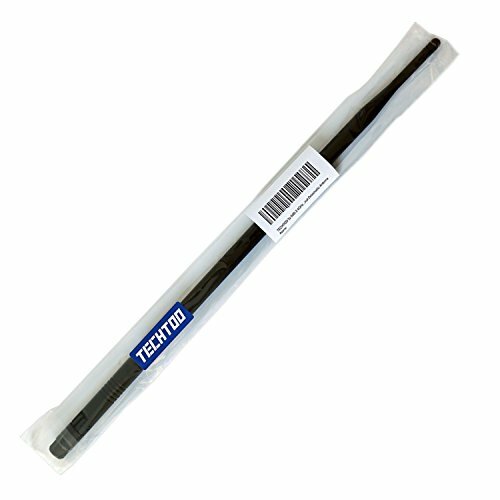 This antenna will increase your signal strength and therefore range. Factory Floors, Remote Telemetry And Other Environments. The RP-SMA Connector Has Threads on The Inside And a Center Socket. The Tilt And Swivel Feature Allows The Antenna To Be Positioned At Practically Any Angle. This Screw-on, Swivel Mount RP-SMA FEMALE Connector Is Compatible With Many Wireless Communications Systems Including: Dlink, GRE America, Linksys WET11, Maxtech, Netgear, Proxim, Siemens, SmartBridges, Waveaccess, Zcom, Netgate Wireless-Redy M1n1wall, RouterStation PRO Products And All USB Adapters With Screw on/off Antennas ,Such As The ALFA And EnGenius USB products.